A collection of our very own potions. 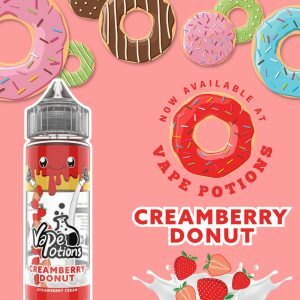 Vape Potions E liquids are premium high quality liquids brought to you at affordable prices. 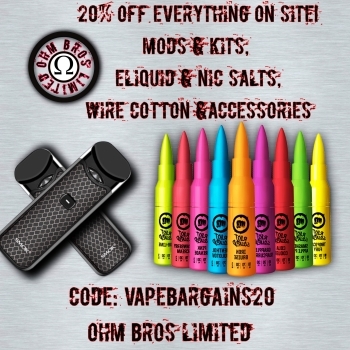 With vapers in mind we only sell the best quality flavours at the lowest price possible. 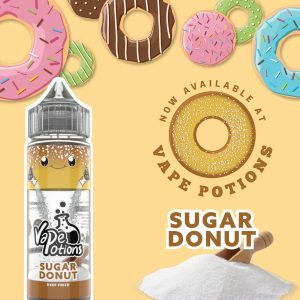 You will surely find a flavour to make your new all day vape! 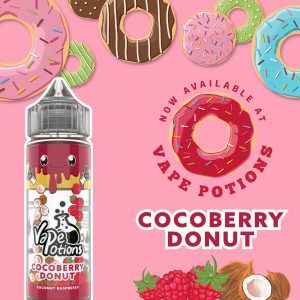 The creaminess of fresh coconut meets the ripeness of raspberry, delivering a dynamic but delicious flavor that inundates the senses with sweetness. Go crazy for coco and bonkers for berries. 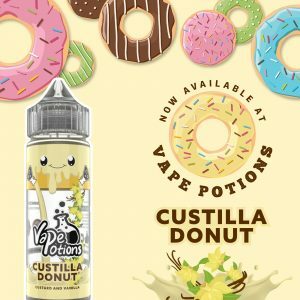 Inspired by brunch-time goodies and treats, this vaping selection is juicy and sweet. It brings visions of cream-filled confectioneries and palette-pleasing pastries! Succulent and sweet, this scrumptious selection is highlighted by the lip-smacking goodness of sugared strawberries. Teamed up with hints of rich cream, the luscious berry flavors are balanced and bestowed to present an unforgettable aromatic experience. Brought to you by the most important meal of the day, this vape flavor leaves the mouth watering with every drag!